Color swatches are created with printers, and they are printed on paper. While swatches “resemble” the final paint color, and they might be fairly accurate with regards to color tone, they are not accurate at communicating the exact sheen of the particular color. Simply moving the swatch in your hand alters the amount of light it reflects. We make sure you love it! Our estimates include color samples which are painted on your siding or trim boards. We encourage you to observe your color samples in the shade, in direct sun, midday, and late after noon. Will the samples disappear once the house is painted? Yes. 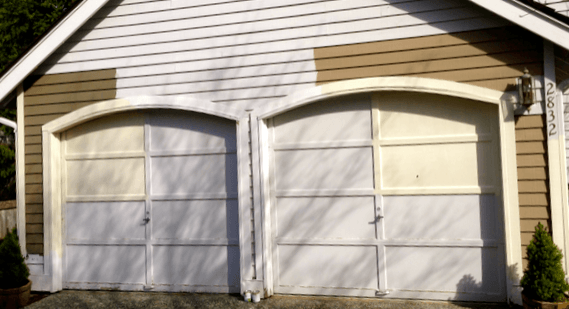 Our samples are made of primer and because we back-roll the entire siding, the samples are guaranteed to disappear completely once both coats have been applied. Posted in Do it Yourself blog.